I am back today with another review from Mamma Chia! 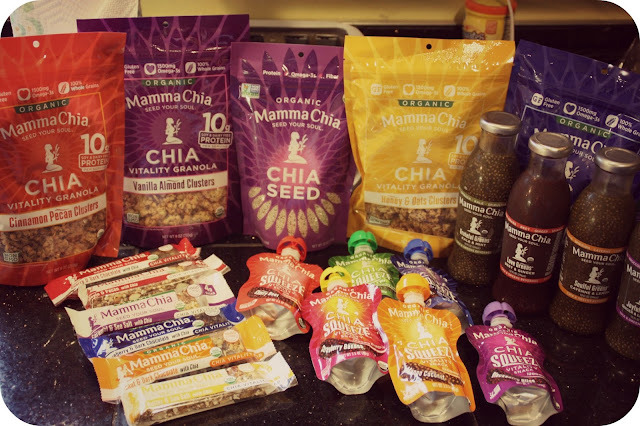 You all know how much I love my snacks and since I have been on my quest for a new and healthier "me", I am always in search of healthy snacking options for my family and I. Mamma Chia is a company that uses Chia Seeds in all of their products and they even sell Chia seeds by the bag! I love that. 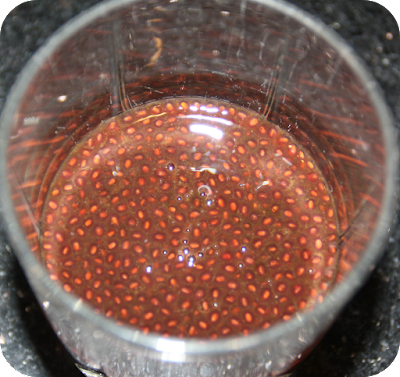 Chia Seeds are so good for you...loaded with nutrients, antioxidants and fiber, these tiny little seeds pack a huge, nutritious punch. I had never tried Chia seeds until I became acquainted with Mamma Chia several months back but I can tell you, I have completely fallen in love with them. They now have a brand new Chia & Greens Beverage that has hit the market and I have the opportunity today to introduce you to this new beverage! It started on a small farm in rural San Diego, where Mamma Chia founder and CEO, Janie Hoffman, in her quest to find an ideal diet for her own health, fell in love with the magic of chia. Janie quickly discovered this amazing little seed was providing a powerful vitality boost and was instrumental in addressing some challenging health issues related to longstanding autoimmune disorders. 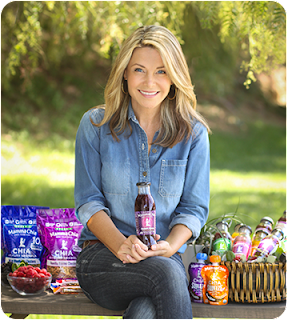 mamma chia ceo and founder, janie hoffman Janie believes that there are several components to a healthy and joy-filled life and no one thing holds all the answers, but there is no doubt that once she incorporated chia into her daily diet there was a very noticeable increase in her vitality, energy and strength. Janie became so enchanted with these little seeds that she was literally adding them to everything in her kitchen and giving away chia treats to everyone she knew or crossed paths with, but it was her chia beverages that became the biggest hit with her friends and family. In addition to finding the beverages to be fun and delicious, they also experienced a noticeable increase in vitality. In the summer of 2009, fueled by her passion for chia and her commitment to be of service to humanity and the planet, Janie founded Mamma Chia — the first organic, chia-based food and beverage company. In addition to her love of chia, Janie and her husband, Lance, enjoy growing Hass avocados and pineapple guavas on their small farm with their cuddly kitty, Sparky, and their sweet dogs, Yogi and Bodhi. Every time I read Janie's story, I am just so impressed...she had such a vision for this company and it shows in the quality of their products. 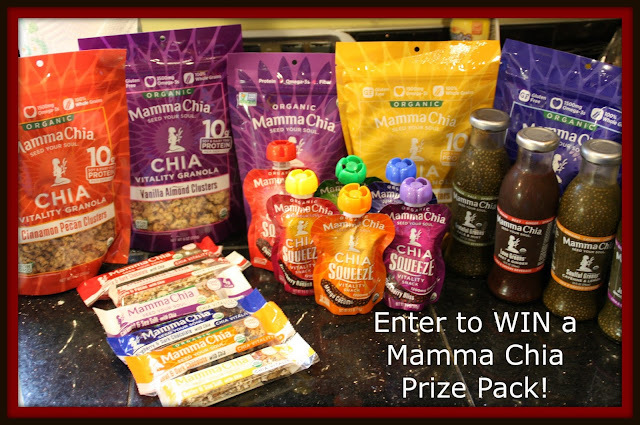 So, for this review I was sent a box of goodies from Mamma Chia, including their brand new Chia & Greens Beverages in various flavors! I have never tried these beverages before so I was excited to see how they tasted. Mamma Chia offers a full line of fun nutritional snacks and products, my favorites are the Chia Vitality Granola (seriously...you can eat it right out of the bag, it is SO addicting!) and the Vitality Bars. Those are great to take with you when you are on the go, they keep well and are a tasty, nutritional snack for when you need one! So, these new Beverages are so fun. For this review I received four bottles: Grateful Greens Kale & Mint, Love Greens Beet & Ginger, Soulful Greens Cayenne & Lemon and Joyful Greens Ginger & Lemongrass. 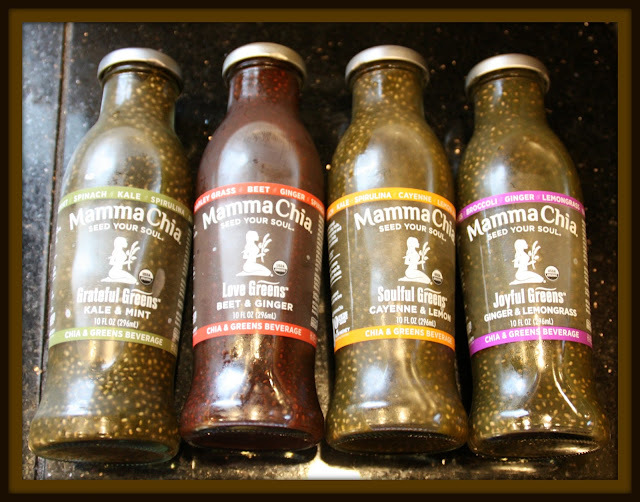 Each bottle is jam-packed with Chia seeds..it's amazing how they are so tiny but how nutritional they really are! Ok. So, I first tried the Beet & Ginger flavor. These beverages are thick and the seeds taste a bit slimy in texture. Not in a bad way, I just can't think of another way to describe the texture. If you are sensitive to textures, you might not enjoy this as much but I find that if you chew the beverage a bit, it's not as noticeable. 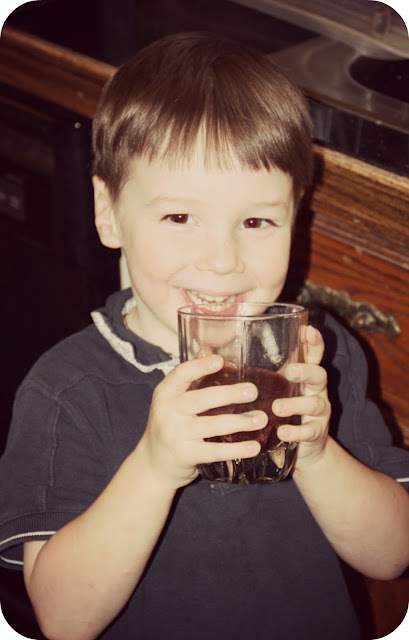 My 4 year old is usually my food and snack hound, so when I sampled these beverages, he was right there wanting to try it too. He took one sip, then another, then another. He did enjoy it, but didn't finish the glass. That's OK though, it takes a bit of getting used to. My husband was eagerly awaiting his turn to try them and he didn't end up liking them at all, he said they tasted like sea weed. I disagreed with him but I try to remember that he is not really into healthy stuff so I really didn't think he would enjoy them. My opinion of the beverages is that they are tasty, but not something I would enjoy drinking all the time simply because I have issues with the texture. Each bottle of Chia & Greens retails for approximately $2.99, and are Non-GMO, gluten-free, Vegan, Kosher, and USDA Certified Organic. This is good news for those of you who struggle with dietary restrictions! I would love to try the Mamma Chia Organic Low-Sugar Chia Vitality Bars. My mom has type 2 diabetes so we try to keep everything no sugar/low sugar. Thanks for the great giveaway! I'd like to try the Low-Sugar Vitality Bars. I eat a lot of bars because I don't have a normal lunch hour. I would love to try the Wild Blueberry Clusters. I would love to try the Chia Energy Cherry Charge. That looks like my type of product. I would like to try the Coconut Mango drink. The Mamma Chia Seed Your Soul Bars look awesome too. I would love to try Chia Organic Chia Vitality Bar blueberry and dark chocolate, yum! I would like to try the Strawberry Lemonade beverage. I would really like to try all the flavors of granola. 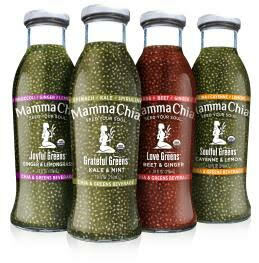 I would love to try the Mamma Chia Organic Chia Energy Beverages. I want to try the chia squeeze in cherry beet. I'd love to try the new chia granola clusters! I think I would love the chia granola clusters!! I would like to try the granola clusters. Mamma Chia Organic Chia Vitality Granola; the Honey & Oats Clusters. I would like to try the Cherry Charge Chia drink. I really want to try the Chia Organic Chia Vitality Bar Blueberry and Dark Chocolate. It sounds so good. i can't wait to try it. I'd love to try the Mamma Chia Organic Chia Vitality Bars. The maple pecan bar sounds good. I would like to try the Chia Squeeze products. I bet that my son would probably love them as well! I would love to try their Peanut Butter & Sea Salt Vitality Bar. I would like the coconut mango vitality drink. I would love to try the Cinnamon Pecan Clusters. I would love to try the Chia Energy Cherry Charge. The energy sold me!